Max Bolleman is a recording engineer and jazz drummer who has a fascinating story to tell about life in the control room between 1981 to 2009. Whilst predominantly based at his own studio in Monster, Holland, he was no stranger to recording in New York due to his reputation for getting a great sound. Whilst not as famous (or as cantankerous) as Rudy Van Gelder, he was much in demand with artists such as Art Blakey, Chet Baker, McCoy Tyner, Kenny Barron, Freddie Hubbard, Woody Shaw, Clark Terry, Elvin Jones, Wynton Marsalis, Brad Mehldau and many others. Whilst running his own independent studio, he worked extensively for Criss Cross Records who, with a keen eye on the lucrative Japanese jazz scene, managed to get big-name jazz musicians to divert to Monster whilst on their European tours. The book is autobiographical, starting with his upbringing and how he developed a love of recorded music as well as being a full-time optometrist. What started as a home-recording enterprise in a small Dutch town developed into a full-blown professional studio (Studio 44) when his home burned down. Bolleman writes (with the assistance of Herbert Noord) in something of a diary style, the book being an expanded version of his original studio notes. The book is laced with splendid black and white photos taken at the time of recording. I wasn’t sure at first that I would take to Bolleman’s style of writing or his storytelling, but in the end I picked the book up at any opportunity. His description of various jazz artists is honest, humorous and bordering on brutal at times. Whilst the music should speak for itself, Bolleman’s account of what took place in the studio is revelatory and makes one reappraise the music with a different perspective. His commentaries range from the downright frightening to the farcical as when he had to wake up a chemist in the middle of the night to obtain denture cement to fix Chet Baker’s false teeth. As with all aspects of society, Bolleman came across the friendly, the rude, the quiet and the manic. I was shocked to discover that some of the jazz musicians I respected had some pretty nasty character traits. But what shocked me the most, however, was the blatant racism shown to Bolleman (a white, Dutch recording engineer) by a small number of black jazz musicians who refused to speak to Bolleman or even recognise he was in the room. It came as less of a shock to realise that some jazz musicians have egos the size of an air-balloon whilst others where highly introverted and insecure. Bolleman resists getting overly technical, but there is enough in the book to tell the story of how technical developments have changed the way recorded music is made. Bolleman is also a professional musician and this has inevitably shaped the way he starts to record. 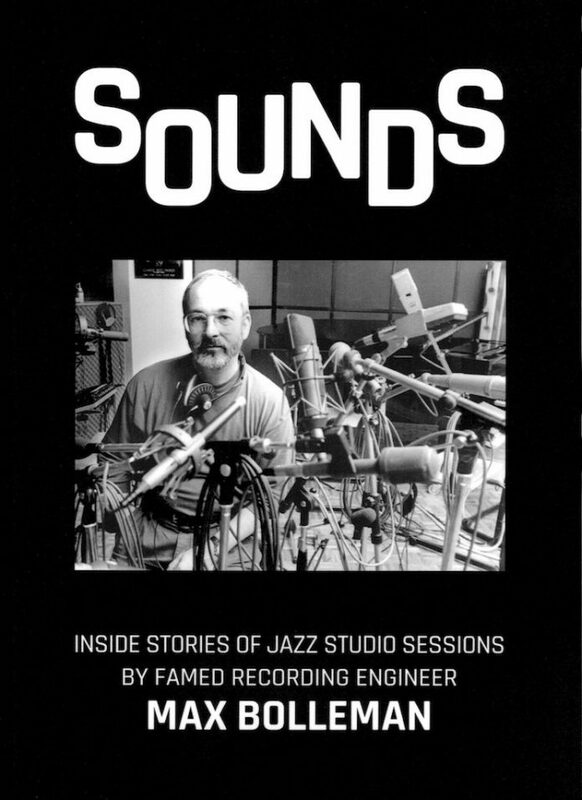 The book concludes with an account of Bolleman’s semi-retirement in 2009, the continuation of his own musical career as a respected drummer and his views on what is wrong with jazz, jazz recordings and jazz musicians. He laments the use of software such as Pro Tools as “trickery” and the fact that the young musicians now recording music (often outside a studio) have rarely played live and lack the maturity to play inventively and challenging. But most of all he dislikes the lack of swing and improvisation in their music. As the old song goes, “It don’t mean a thing if it ain’t got that swing”. These may be personal views but many readers will have sympathy with them.